JUST IN: KASHMORA TEAM MAKES A BIG ANNOUNCEMENT! 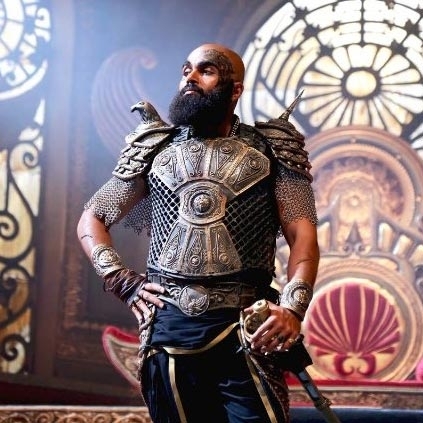 The recently released first look poster of Kashmora was very well received, especially for Karthi's striking new bald makeover. This semi-period adventure film is directed by Idharkuthane Aaasaipattai Balakumara fame Gokul and produced by SR Prabhu’s Dream Warrior Pictures. Kashmora also features Lady Superstar Nayanthara and Sri Divya as female leads while Santhosh Narayanan takes care of the music department. With Kashmora slated to release for Diwali, the team is expected to kick-start the promotional activities for the film very soon. They have now officially locked the audio and trailer release dates. Just IN: Suriya 35's official title announced! An International honour for Suriya's 24! An established dancer and actress for Suriya's S3! Kashmora Producer SR Prabhu Is Blessed With A Baby Boy! Satna Titus To Get Married To Producer Karthik. People looking for online information on Karthi, Kashmora, Nayanthara will find this news story useful.